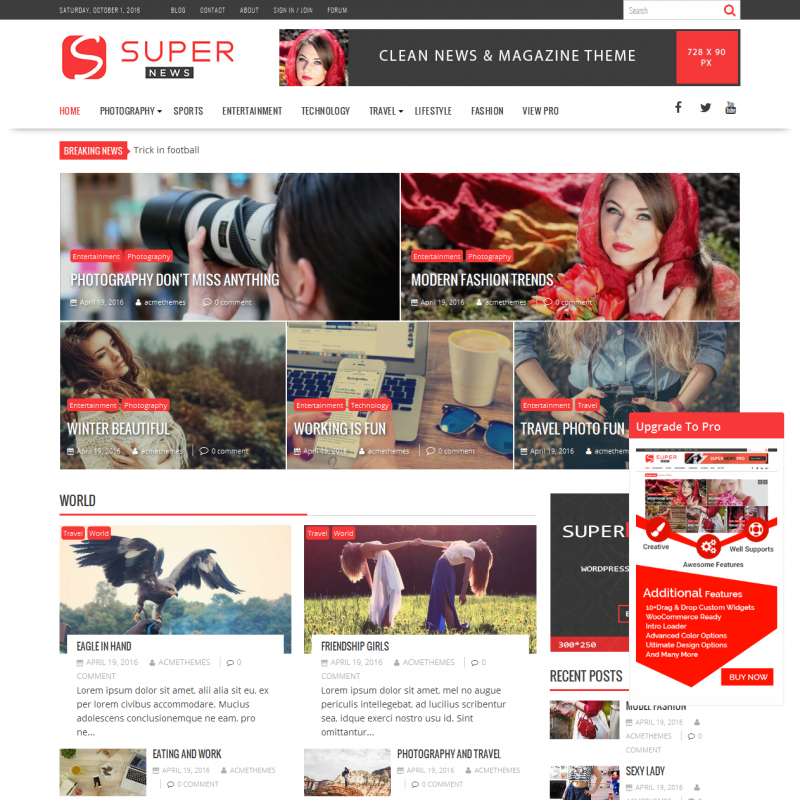 Supernews is a premium WordPress theme. You may translate it to your language with Poedit translations editor. 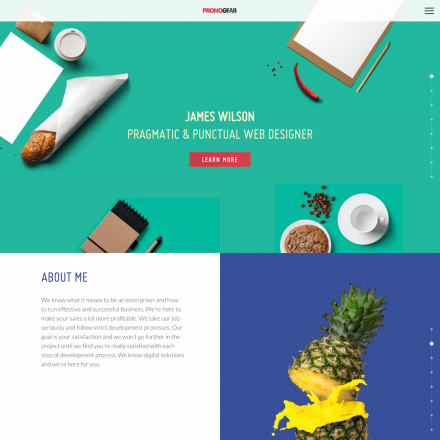 SuperNews is a WordPress theme with a fresh look and clean design. It suits really well to deliver news and different information to people all over the world. It has a well-organized structure and allows you to represent hot brief reports or articles in a beautiful way. 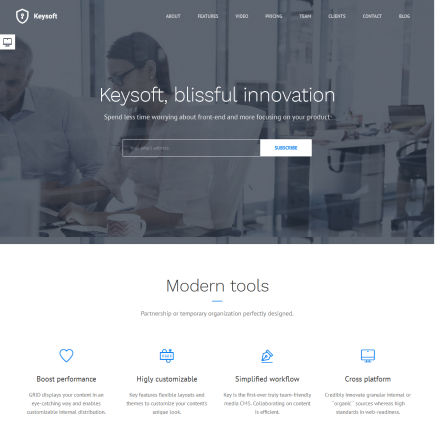 The SuperNews theme has a large set of premade homepage configurations and listing styles. Select 2 or 3 columns display mode with a wide variety of sidebar locations. Choose different post styles with a possibility to include images, videos and galleries. Provide all the required information with ready to use page templates. Add different widgets with advertisements, latest news or different tabs to improve your site accessibility. You can use WooCommerce integration to create shop pages with or without the sidebar.